Do you know your BI-RAD density rating? Do you even know what that is? Many women don’t, but it is an important number for your health. It’s a measurement of how dense your breasts are, or how much fibro-glandular tissue you have compared to fatty tissue. The American College of Radiology developed BI-RADS, the Breast Imaging Reporting and Data System, as a way to describe mammogram images. There is one scale for areas of concern that could be cancer and another just for breast density. On that scale, one is the least dense and four is the most. Having denser breasts is normal, but it’s important to know if you do because it may increase your risk of breast cancer, and it can make it harder to detect the disease. On a mammogram, fatty tissue appears grey or black on the image while many cancers appear white. However, dense tissue also shows up as white, making it difficult to distinguish between what is normal and what may be of concern. Several states have passed or are contemplating laws that women be notified if they have dense breasts so that they can be more diligent about monitoring their health. About half of women have a BI-RADS density of three or four, which means they have dense breasts. For individual women, the density of their breasts can change throughout their life time . Women generally have less fibro-glandular tissue and more fat tissue as they get older. Also, weight loss or gain can affect breast density. For women with dense breasts, digital mammography has been an important advance over analog images. Radiologists are able to enlarge and highlight areas of concern on the screen. Now, there is also Tomosynthesis, a system for 3D imaging, which has been shown to be even more beneficial than digital alone, especially for women with dense breasts. We offer this system at ella health because we want women to have access to the best technology available. With this 3D system, the machine moves around the breast taking multiple images that look like thin slices of the breast. The radiologist will first review the conventional 2D images to identify any areas of concern and then look at the slices to examine the size and shape of that area to determine if it is normal. The advanced 3D system not only helps radiologists identify more cancers, it also helps identify what isn’t cancer making it less likely that a woman would be asked to return for follow up imaging only to find that she doesn’t have cancer, also known as a false positive. At ella health, we will tell you if you have dense breasts when we give you the results of your mammogram. 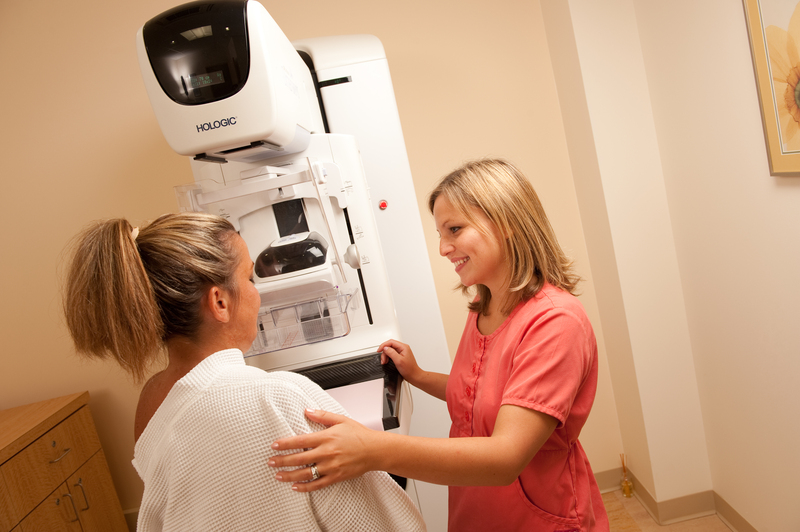 We will also provide the results of your mammogram to your physician. You can directly access your mammogram images at any time using our secure online system. If you have dense breasts, we recommend that you follow the guidelines provided by the American Cancer Society, which recommends that all women have an annual mammogram and an annual clinical breast exam starting at age 40, and that you do a breast self-exam monthly. You can learn more about the issue from the advocacy group Are You Dense?